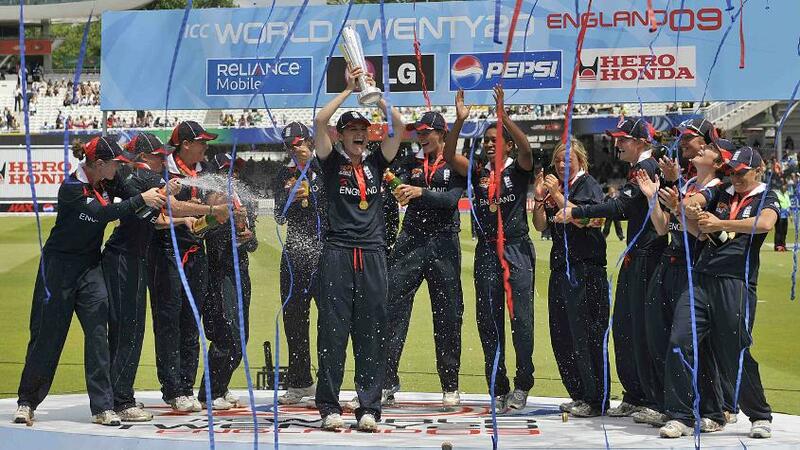 As we gear up for the ICC Women's World T20 2018, here's a look back at previous editions of the tournament to provide a glimpse of what might be in store. In the competition's first edition in 2009, home advantage was the key as England claimed the trophy on home soil. The hosts provided a hugely convincing string of performances, brushing aside India, Sri Lanka and Pakistan with ease in an unbeaten run-up to the semi-final, before seeing off Australia and skittling New Zealand for 80 in the final, prevailing at Lord's by six wickets. England's wicket-keeper-batter Claire Taylor was magnificent throughout the campaign, taking home the Player of the Tournament award for her match-winning exploits with the bat. She scored two half-centuries, the second of which came in the highly memorable semi-final against Australia. Looking to better a tournament-high first-innings total of 163/5, England were dragged over the finish line by the imperious Taylor, who smashed a stunning, unbeaten 53-ball 76. New Zealand's Aimee Watkins was the other headline-snatcher from 2009, finishing as top-scorer with 200 runs, but she could not muster up a worthy score in the final as her side slipped to a hefty defeat. Sri Lanka's Eshani Lokusuriyage was the competition's star-turn with the ball, averaging just 6.87 for her eight wickets. The world had now had a taste of short-format women's cricket at the highest level, and the 2009 edition laid a platform for many more tournaments of its ilk. 2010 saw the ICC Women's World T20 cross the Atlantic to the West Indies. New Zealand once again had to settle for second place, their agonisingly close three-run defeat to Australia in the final marking their second loss at the last hurdle in consecutive tournaments. Holders England failed to make it out of their group after losing in a super-over finish to the eventual winners, so this meant that of the four teams that reached the 2009 semi-finals, three had retained their berths for the same stage the following year. 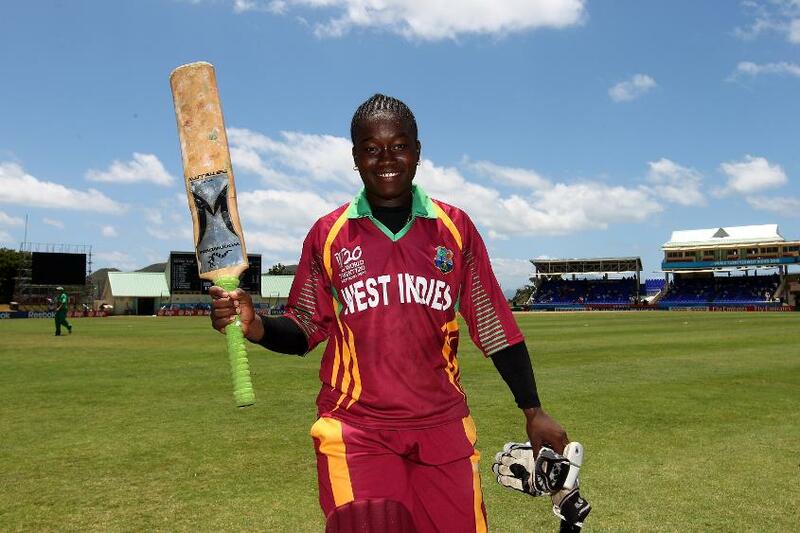 Hosts Windies were the only new team to enter the fold, and they were buoyed by a breathtaking group-stage display from Deandra Dottin, the young all-rounder blasting a rapid 45-ball 112 to hit the first ever hundred in the history of the tournament and script a dominant victory over South Africa. Disappointingly for the home fans, however, the Windies could not translate this form in the knockout stage, tournament top-scorer Sara McGlashan contributing 84 as New Zealand amassed a total of 180, recording a 56-run victory. India, who had been propelled to the knockout stage in part by star off-break bowler Diana David (nine wickets in four games at an average of 7.44) were once again out in the semi-finals as Australia's firepower shone through, Alex Blackwell's 61 helping her side knock off 119 with relative ease. The final was all about Ellyse Perry, though, her 3/18 strangling New Zealand in their pursuit of a highly-achievable 107, with Sophie Devine failing to score five from the final ball to secure victory. Perry, who was bowling, and is also an Australian football international, stuck out her foot instinctively after having the ball creamed back at her and deflected the ball to mid-on, meaning only a single could be taken. A dramatic end to another cracking tournament, and it marked something of an era-defining tournament win for the Aussies. It was the competition's first appearance in Asia, and it saw Australia notch the second of what would become three consecutive titles. Despite this, it was England who had the more promising run to the final, beating the eventual winners in the group stage before losing out by just four runs in the decider. Once again, the Aussies prevailed by the smallest of margins when it mattered most, showcasing the kind of mettle that had eluded neighbours New Zealand in the two previous finales. England's resurgence in the format coincided with India's first winless campaign, and the semis were comprised of matches between the Windies and Australia, and New Zealand and England. The two Ashes nations made light work of their respective opponents, before a hard-fought final saw Charlotte Edwards' side fall short of their second World T20 title. Edwards won Player of the Tournament for her consistency with the bat – 172 runs at an average of 43 – but Australia's bowlers proved the deciding factor in the end. Aussie seamer Julie Hunter reaped the plaudits for her match-defining contributions with the ball, collecting the first five-for in ICC Women's World T20 history in the semi-final against the Windies, before grabbing two more in the final against England to help secure another emphatic tournament victory. 2014 saw the World T20 change from eight teams to 10, as the top six nations from the 2012 edition were granted automatic berths for the tournament and three more – Pakistan, Ireland and Sri Lanka – went through a qualifier to get their places. Hosts Bangladesh, making their bow in the competition, were the 10th team. The expansion did little to perturb a rampant Australia, who bounced back from an opening-day defeat at the hands of New Zealand to nail down their third consecutive title in dominant fashion. The brilliant Mithali Raj hit two fifties in a promising campaign for India, but they once again fell short, while New Zealand's Suzie Bates was also in fantastic touch, notching a pair of half-centuries, but it wasn't enough to lift her side out of the group. Pakistan struggled to hit the ground running, and neither Bangladesh or Ireland managed to record a victory in their first World T20 outing – the Irish were also on the receiving end of a breath-taking 65-ball 126 from Australia's Meg Lanning. South Africa made their first semi-final appearance, and a Stafanie Taylor-inspired Windies returned once again to the last four. Australia edged the Windies by eight runs, while another supreme performance from England's potent bowling attack saw off the Proteas. Australia met England in the final once again, but this time it was a one-sided affair, as Australia restricted their in-form opponents England to 105/8 – Lanning, the tournament's top-scorer with 257 runs, catering for a bulk of the chase with her 44. England's Anya Shrubsole and Natalie Sciver, the tournament's two leading wicket-takers (13 and 10 respectively), were not given enough runs to play with in the final, and Australia's impressive vein of tournament form stretched even further – three trophies in three outings at the World T20. India hosted the World T20 in 2016, and a gripping tournament concluded in the crowning of new champions in the shape of the Windies, as Taylor's heroics with both bat and ball helped propel her side to victory and secured her the title of Player of the Tournament. New Zealand and England emerged as early front-runners after unbeaten group campaigns. The White Ferns leant on the experience of seasoned performer Bates, who continued to deliver with the willow, and her job was made easier by Sophie Devine and Leigh Kasperek, who topped the wicket-taking chart with nine apiece. England's Edwards was the lynchpin within the England batting ranks once again, second only to the Windies' Taylor in the run-scoring department. Both New Zealand and England surprisingly perished at the semi-final stage, however, the ever-dependable Lanning seeing the Aussies over the line against England, and a 48-ball 68 from Britney Cooper helping the Windies pip Bates' side to a place in the final by just six runs. 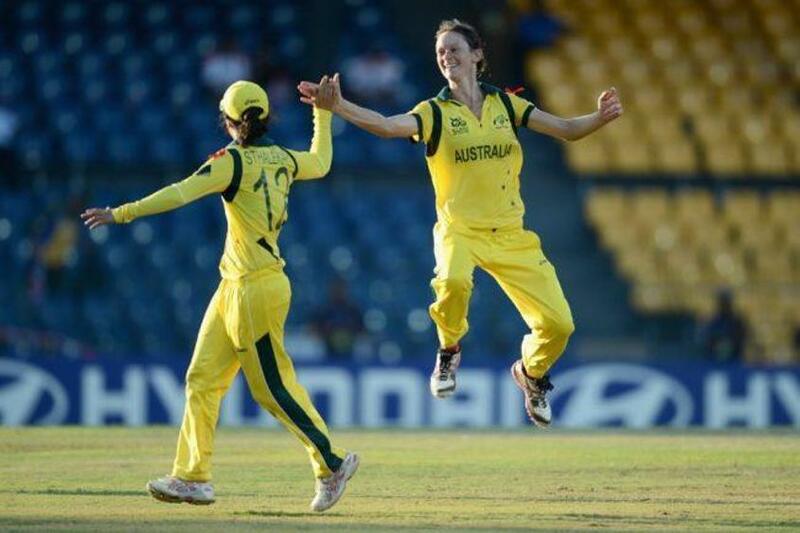 Elyse Villani blasted 52 from just 37 in the the tournament decider to help Australia to 148/5, before a young Hayley Matthews made the world stand to attention, the then 18-year old blitzing a magnificent 66 in a 120-run stand with her skipper and fellow half-centurion Taylor. Despite losing both batters, the Windies held on to achieve victory by eight wickets with three balls to spare, and Australia were toppled.